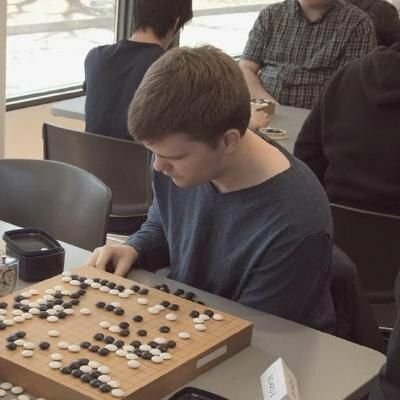 I'm Ben Mantle, a 5-dan Go player and teacher from Toronto. I've been playing Go since 2006 and teaching since 2008. I'm Head Instructor at the Toronto Go Club, former President of the University of Toronto Go Club, and an annual volunteer for Anime North's Go Area. I offer complete Go mentorship and personalized learning that we can freely discuss and re-plan as often as every lesson. Students say my teaching style is cohesive and eye-opening; they enjoy my focus on simple concepts and application of relatable analogies, as well as the thinking frameworks I provide. The words of my first Go teacher remain forever unforgotten, and what I offer you now is a refined and extended version of them. Live Go lessons—typically over Skype, other methods work too. Tailored curricula, lesson plans, homework, and mentorship.